Mid-back chair is designed especially for multi-shift intensive-use environments, especially for the big and tall person. Offers a 500 lb. capacity. Rated for 24/7 use. Upholstered with 100 percent polyester. 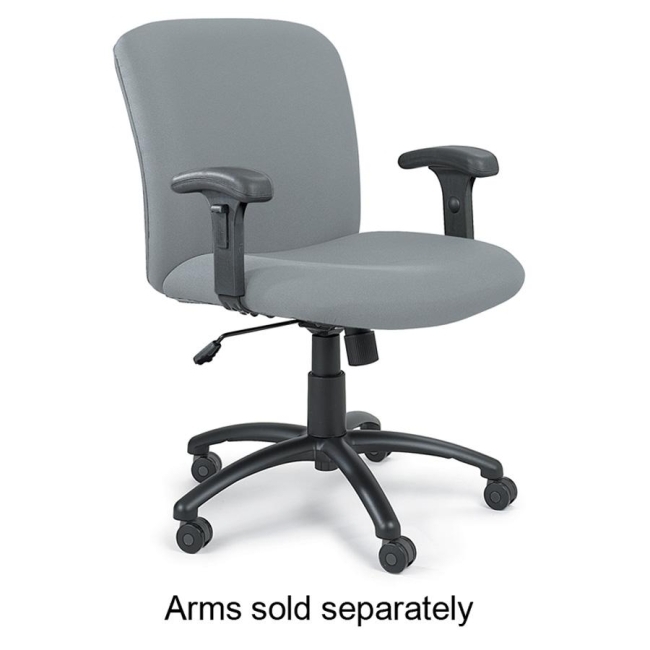 An extra wide and deep seat with thick-cushioned foam provides long-term comfort. Seat size is 22-1/4" wide x 20-3/4" deep. Back size is 23" wide x 19-3/4" high. Mid-back chair features a swivel seat with pneumatic seat-height adjustment, tilt, tilt lock, tilt tension and an oversized five-star base with 2" hooded dual-wheel casters for stability. Meets or exceeds ANSI/BIFMA standards. Available in black frame only. Arms are sold separately.